Has CERF+‘s fundraising kept pace with its expanding mission? The CERF+ website presents the rebuilding of Ricky Bernstein's studio as the main element of their opening page. Sifting through the charred remains of his studio after it burned to the ground on October 8, 2008, glass artist Ricky Bernstein salvaged only a few bent hand tools and a pair of handmade jacks he had received as a gift. In the days following the devastating fire, Bernstein called up the Craft Emergency Relief Fund+ Artists’ Emergency Resources on the advice of a friend. By the end of the week, Bernstein had the first of several conversations with Les Snow, CERF+’s manager for operations and financial services, and he was soon approved for a modest emergency cash grant of $1,500. More helpful than the grant, he says, was CERF+’s help in securing fee waivers to important selling shows, which allowed him to generate income from his work. CERF+ also negotiated a discount with an equipment manufacturer. In total, Bernstein saved close to $3,000 on top of the grant money. Though he declined the loan that the organization offered him, the rapid response with some financial support in the immediate aftermath of the fire helped Bernstein continue his work and focus on the future. With the volunteer help of almost 20 of his neighbors, he went on to rebuild his studio from the ground up. “Until you go through a disaster, until you have that kind of chaos, you have no cognizance of how dramatically wonderful it is to have an organization like CERF+ out there, waiting for this sort of thing to happen,” Bernstein said in a telephone interview. If you go to CERF+’s Internet site, you can’t miss Bernstein’s story, or at least the images of it prominently displayed on the main page. 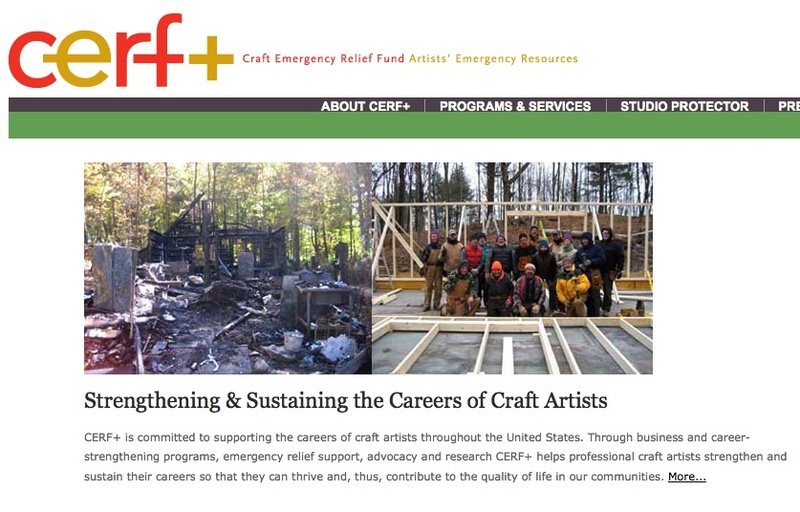 Though CERF+ had no direct involvement in the actual rebuilding of the studio, the organization presents a photo that Bernstein sent in of the burned-down building next to a shot of the construction project on the opening page of www.craftemergency.org. There is no caption identifying the local volunteers who helped out, and no accompanying text detailing the nature of the help that CERF+ provided to Bernstein. While one could argue that CERF+ made the rebuilding possible by helping out in other ways, a nonprofit collecting money on the behalf of artists dealing with the aftermath of disasters has a duty to be absolutely clear about where its money is going. Clarity is not always the case with CERF+’s fundraising efforts. Its website emphasizes its direct financial assistance to artists, while the organization’s 2009 income tax return indicates that less than 10 percent of its annual revenues from contributions, gifts and grants makes its way directly into the hands of artists in the form of emergency grants. As CERF+ has expanded over its 25-year history, it has undertaken several new initiatives that have broadened its original mission of directly aiding artists in need. CERF+’s executive director, Cornelia Carey, pointed to the aftermath of Hurricane Katrina as a time when “it became very apparent to us that no amount of money we could ever raise could right an artist’s life after the kind of devastation experienced in Katrina. In addition to emergency financial assistance, CERF+ needed to invest significantly in helping artists lessen and/or avoid altogether the impacts of emergencies.” The bulk of its annual revenues is now spread out over added programs, overhead, and salaries. CERF+’s added accomplishments, many of which focus on emergency preparedness, range from the production of an easy-to-follow guide to disaster preparedness (available for $16 plus shipping on the CERF+ website) to serving as a clearinghouse for information on everything from insurance to professional development for craft artists. The organization that started out as an all-volunteer effort 25 years ago now employs a staff of five-and-a-half employees. This is all a far cry from the early years before CERF added a plus sign to its logo. 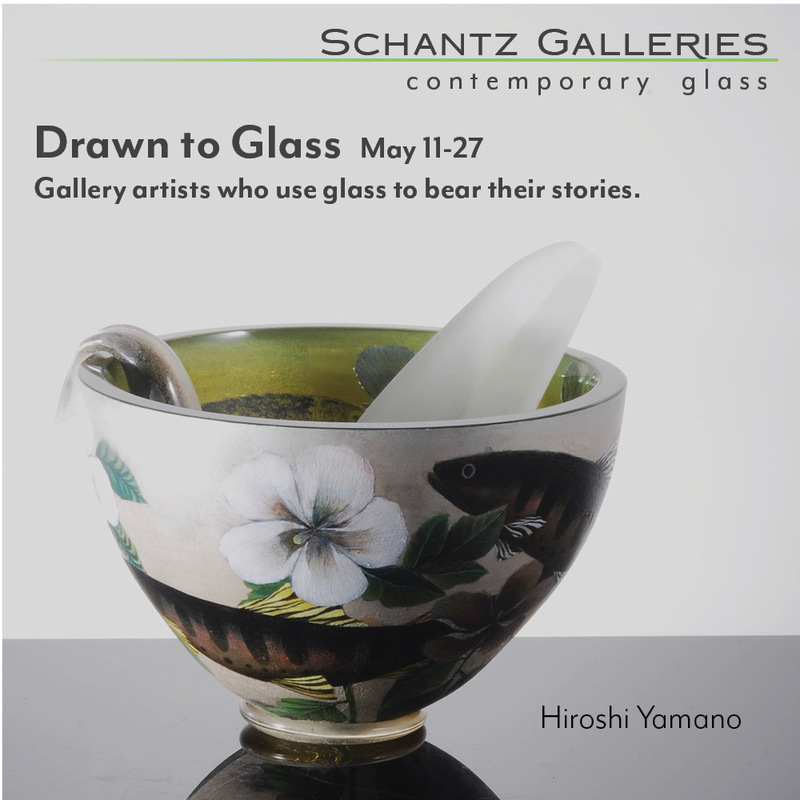 The organization began in 1985 when co-founders Josh Simpson, a glassblower, and the late Carol Sedestrom Ross, decided to make the informal fundraising they did at craft shows more official following years of ad hoc collections at the Rhinebeck Craft Fair to help artists with problems ranging from a broken transmission to a studio fire. Along with its staff and programs, CERF+’s grants to artists have grown in the past 25 years from the original cap of $500 to a maximum of $2,500. The organization also loans artists up to $8,000. 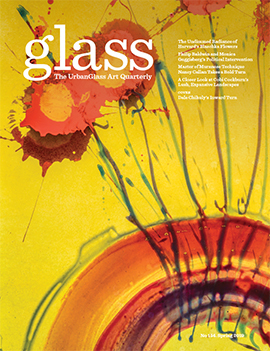 Glass artists who have received aid from CERF+, such as Einar de la Torre, who received a loan for materials after vandals destroyed his work in a Los Angeles exhibition; or Andy Brott, whose studio was blown off its foundation in New Orleans, and who says he passed on CERF+’s offer of financial aid because others needed it more, speak glowingly about the organization’s compassionate help in their hours of need. Though the grants and loans are often small compared to the financial needs of the artist, they reach artists before any other source of aid; it is this immediacy for which many of them are thankful to CERF+, and the friendly voice on the phone gets as much of an enthusiastic endorsement as the financial assistance. When asked about this discrepancy, CERF+ executive director Cornelia Carey blamed the difficulties at a small organization of updating the website to reflect the changing mission. “We haven’t had the resources to do much, if anything, with the website in the last four years,” she said in a telephone interview. “It’s on our big list. We add things in, but we have not done a complete overhaul, which is what it needs. It needs to incorporate this other prong of the work.” Carey went on to emphasize the organization’s commitment to parity between its emergency relief and its preparedness programs. “While not everybody wants to hear the preparedness drum being beat, after Hurricane Katrina the investment in preparedness needed to be equal to the emergency relief, and everything is moving to that.” She also stated that CERF+ is currently waiting to hear about a grant request to overhaul its website this year. The opening-page images of Bernstein’s burned-down and rebuilt studio, however, remained without captions as this story is being published online.